Increased demand in the Land Rover Defender's final year has bumped up production. Now, it's reported the off-roader will live to see 2016. The end of the road for Land Rover's long-running Defender won't come this fall after all. Jaguar Land Rover has extended production for the classic, aluminum-bodied off-roader into next year, reports England's Birmingham Post. Increased demand in the vehicle's final year has bumped production of the stubby all-terrain vehicle from 84 units per day to 125. A company source told the paper that production will run through February and possibly could be extended to April. 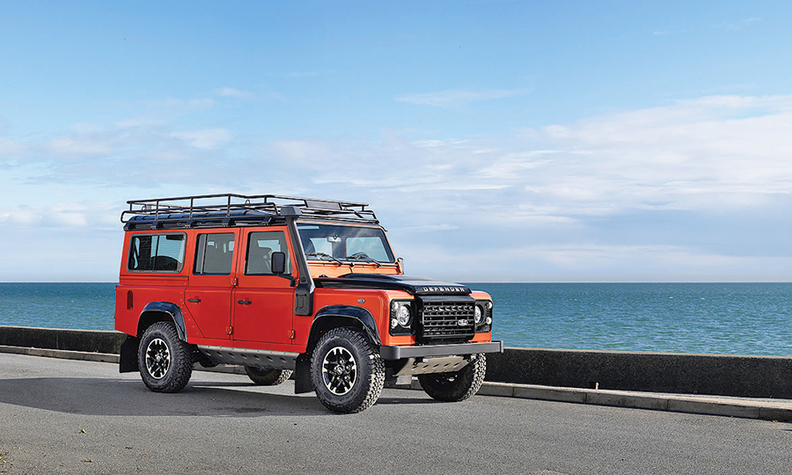 The original Defender, called the Series 1, launched in 1948. It did two tours of duty in North America, from the late 1950s to 1974 and then again from 1993 to 1997. More than 2 million have been sold worldwide. Increasing safety and emissions standards have made the Defender obsolete. Land Rover is working on a replacement. Last year, it built more than 17,000 Defenders.